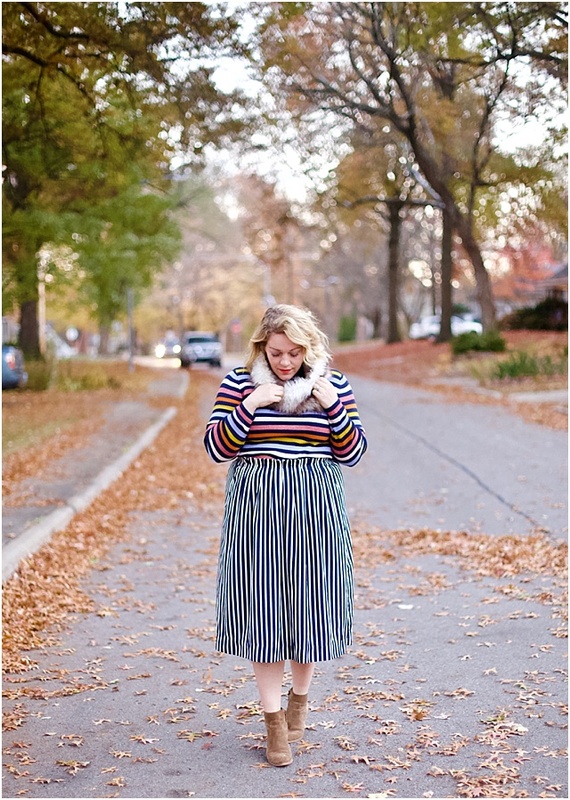 This sweater makes me so happy. 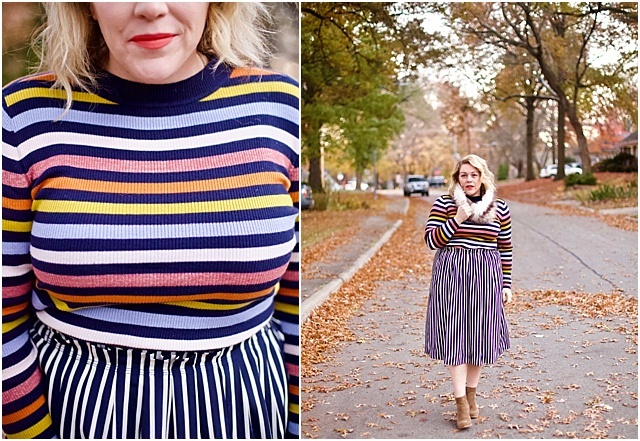 How can you not feel cheerful in rainbow stripes?! 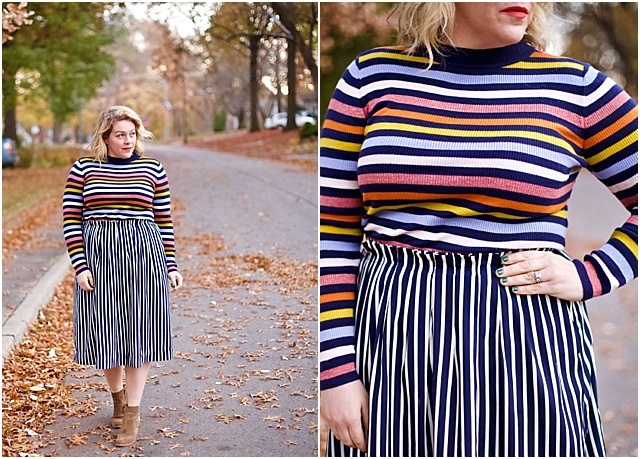 And I especially love it paired with the vertical navy/white stripes in my skirt. 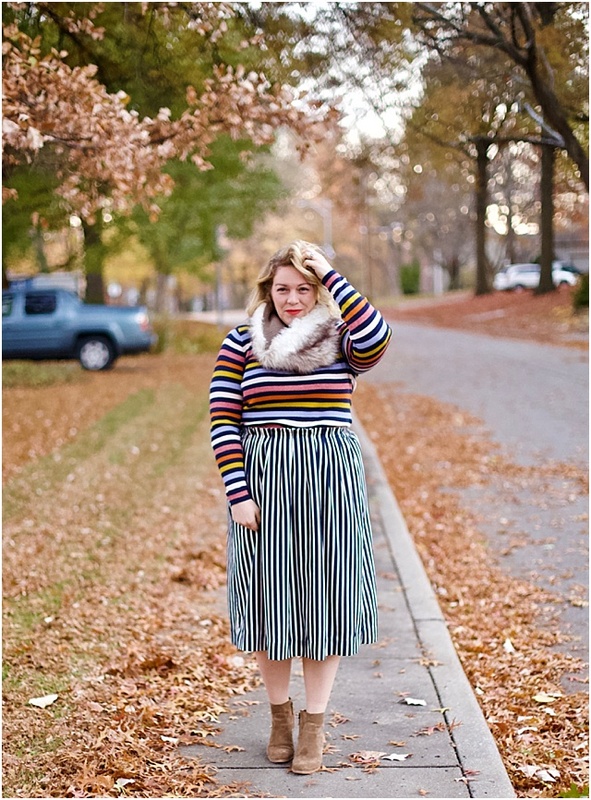 This outfit really shows off my love for all kinds of stripes! 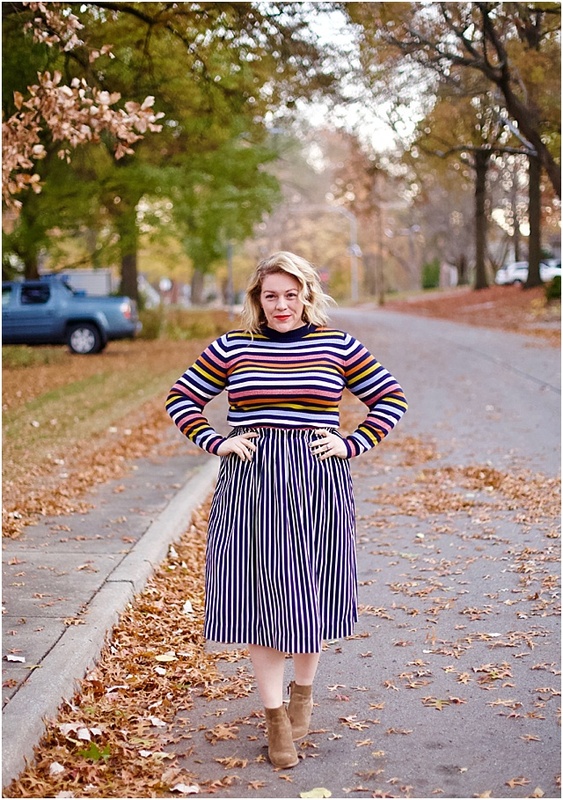 See below for more stripe tops!